Formal recognition would help protect those who increasingly risk their lives to defend the land, water, forests and wildlife, says the UN special rapporteur on human rights and the environment. It is time for the United Nations to formally recognise the right to a healthy environment, according to the world body’s chief investigator of murders, beatings and intimidation of environmental defenders. John Knox, the UN special rapporteur on human rights and the environment, said the momentum for such a move – which would significantly raise the global prominence of the issue – was growing along with an awareness of the heavy toll being paid by those fighting against deforestation, pollution, land grabs and poaching. His appeal, the culmination of more than five years of investigations, comes amid a major push for the UN and member states to do more to protect those who defend the land, water, air, forests and wildlife. “If we can’t protect them, then how can we protect the environment we all depend on,” Knox told the Guardian in Geneva, where he has just submitted a final report to the UN high commission for human rights. For better and for worse, the issue of environmental rights has risen rapidly up the political agenda since Knox took his post. The number of murders of land and environmental defenders tracked by the monitoring group Global Witness increased to 197 last year, compared with 147 in in 2012. But there is also increasing resistance from civil society, exposure in the media and support from the UN and some governments. Earlier this week, 24 Latin American and Caribbean nations signed a groundbreaking pact on environmental rights that – once ratified – will oblige governments to investigate and punish those accused of killings, many of whom currently evade justice due to impunity. 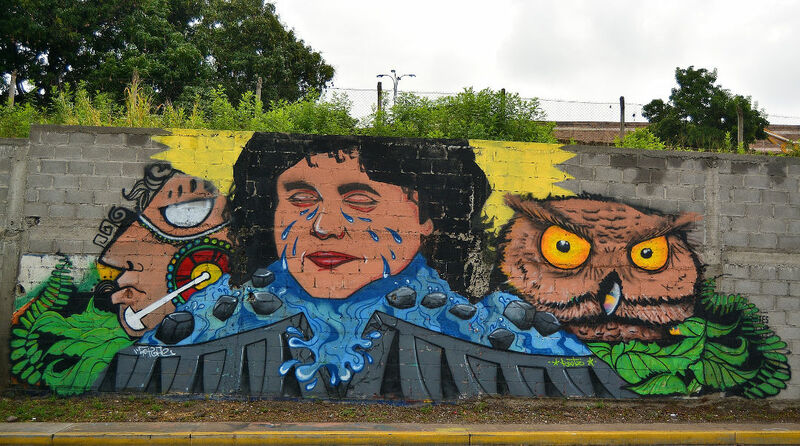 Even in Honduras – one of the worst offending nations – police have finally arrested the most senior suspect yet in the killing of the anti-dam and indigenous rights campaigner Berta Cáceres. Many activists believe this arrest would never have happened if not for the global outcry that followed that 2016 murder. More powerful suspects in the government, however, continue to evade justice. On Tuesday, UN Environment launched an environmental rights initiative to scale up training of judges, prosecutors and police in environmental law and to work with companies to include human rights in investment planning.